Some of our patients have asked how they can best express their appreciation for the work we do. One of the best ways is to write a review about Gateway Psychiatric. This is not only gratifying (if honest) but it also helps make us visible when other patients or families are seeking care. For reasons unclear our website has relatively low ranks, especially at the Mountain View and Pleasanton locations which are newest. Sign in to Google+ using your email and password and proceed to step 2. If you don’t have a Google+ account, click on Create an account and follow the guide on the succeeding pages. Fill up the required information such as your name, username, birthday, gender and location. You may provide your mobile phone number and current email address but you may also choose to skip those sections. When you’re done, click on Next step. Click on Create your profile. 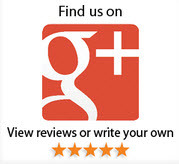 Go to the appropriate Gateway Psychiatric Services’ Google+ profile. Go to the Review Summary section and click on Write a review. Write your review and rate the service. Click on Publish when you’re done.